Recipe Pick-Up: Aussie Day BBQ heroes! Are you hosting or going to a BBQ this Australia Day? Which ever side you are, the host or the guest, you'll be loved for preparing delicious side dishes! The quality of BBQ I believe depends strongly on the side salads provided. 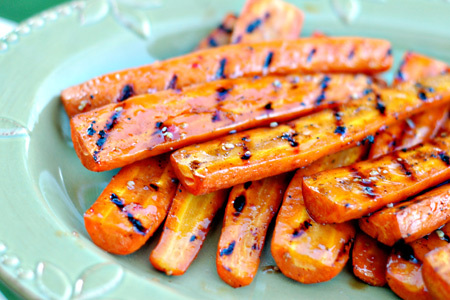 Italian Potato Salad and Grilled Glazed Carrots. You can make-ahead the potato salad and cook the carrots on the Barbie on the day. I made these last night and oh god they are so yummy! They keep well in the fridge and seem to get tastier the more you chill! Carrots become unbelievably sweet and full of flavour when you cook them with care. Leave some space on the side of the Barbie. You'll be glad you cooked these carrots because they are soooo tasty. Australian Carrots 1kg bag is $1.20 at Coles (25-30 Jan 2017).